If you are arriving or departing from Incheon Airport near Seoul, South Korea, then the Limousine Bus is a great affordable option to get to and from the airport. The Limousine Bus is a deluxe bus option which picks up and drops off direct to select hotels and public transport locations, so you can more easily conduct your Seoul airport transfer without the hassle of trying to use the Seoul public transport system immediately after you arrive. Every Limousine Bus service includes free onboard Wifi and water, ensuring a comfortable trip. You are also welcome to join our South Korea Travel Planning Facebook Group – it is a great resource to enable you to ask questions about your upcoming trip to South Korea! 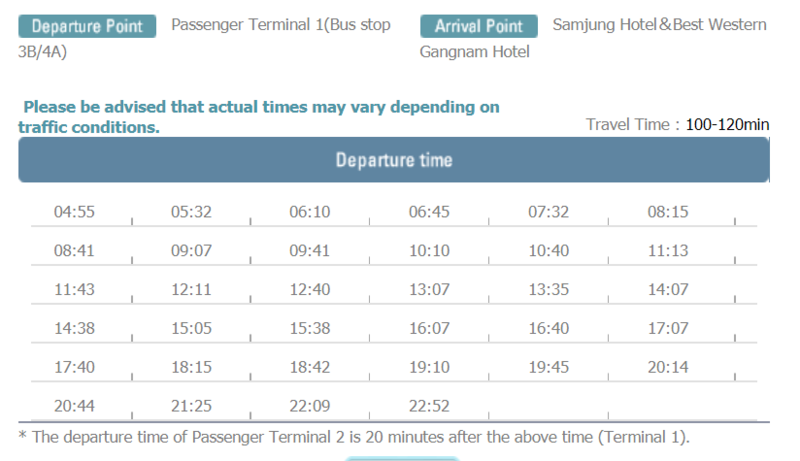 The Airport Limousine Bus Seoul is a very cost effective option to travel between the airport and your accommodation. The cost per one way ticket through Klook is $US12.15 per person and you will travel direct or close to your accommodation. By comparison the AREX Airport Express Train costs $US5.70 per person direct to Seoul Station, however you then need to transfer trains to get to your accommodation, which will cost more money, plus you will have the hassle of finding the right platform, ensuring you have purchased a ticket for your forward journey, and on arrival at your final station you will still need to walk to or catch a taxi to your accommodation. If you are tired after a long haul flight I can guarantee that the extra cost for a Limousine Bus is a great option to arrive with minimum hassles either direct to or close to your accommodation. 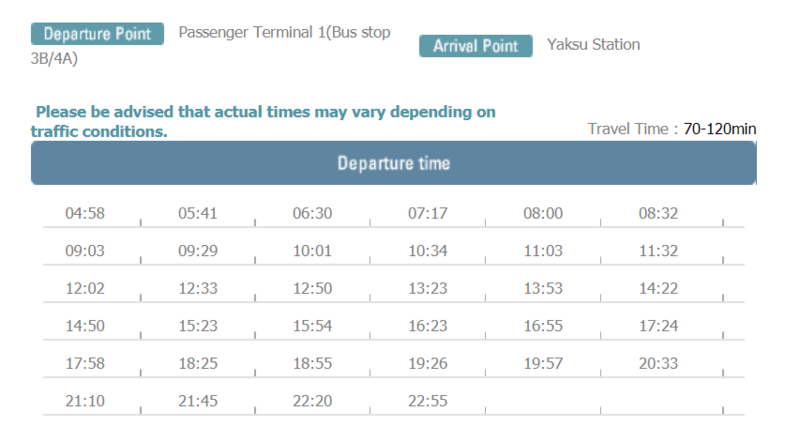 We personally have booked the Limousine Bus to get from Incheon Airport to our hotel on arrival, after a similar experience on our first trip to Japan where trying to use the local public transport system became very difficult – so we have applied lessons learned and have already booked the Limousine Bus! With a bonus that it stops directly at our arrival hotel 😊 . Incheon Airport Limousine Bus 6701 – City Hall. Drop off and pick up at Koreana Hotel, The Plaza Hotel, Westin Chosun Hotel, Lotte Hotel Seoul, Aloft Seoul Myeongdong Hotel, New KUKJE Hotel and Best Western New Seoul Hotel, Koreana, Seosomun KAL Building, Lotte City (pick up point) and Seoul Garden (pick up point). Incheon Airport Limousine Bus 6702 – Namsam. Drop off and pick up at Yeouido Transportation Center, Seoul Garden Hotel, Lotte City Hotel Mapo, Ramada Namdaemun, Seoul Station, Millennium Seoul Hilton, Grand Hyatt Hotel, KY-Heritage, JW Marriot Dongdaemun, Grand Ambassador Hotel, The Shilla Hotel and Yaksu Station. Incheon Airport Limousine Bus 6704 – COEX. Drop off and pick up at Imperial Palace Hotel, Ramada Seoul, COEX Inter-Continental, Park Hyatt Seoul, Ibis Styles Ambassador Seoul Gangnam and Grand Inter-Continental Hotel. Incheon Airport Limousine Bus 6705 – Jamsil. Drop off and pick up at Lotte Hotel World Jamsil, Signiel Seoul Hotel, East Seoul Bus Terminal, Gwangnaru Station and Sheraton Walkerhill. 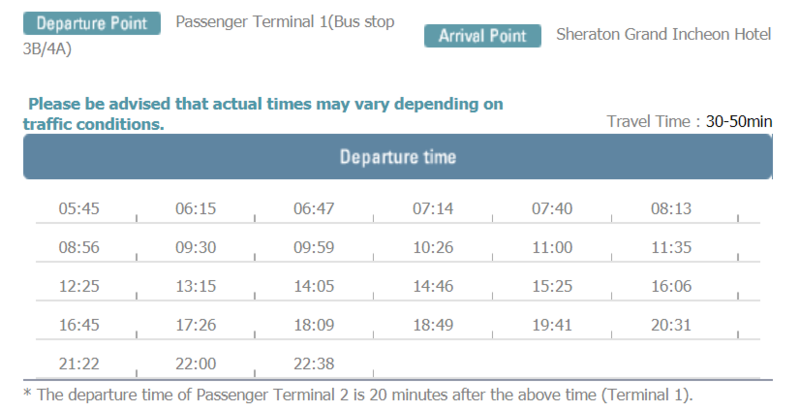 There are many other Seoul airport limousine bus routes available if you are staying in other parts of Seoul, check out the official site for further information. The 6701 Limousine Bus departs approximately every 20 minutes. The 6702 Limousine Bus departs approximately every 25 minutes. The 6703 Limousine Bus departs approximately every 30 minutes. The 6704 Limousine Bus departs approximately every 30 minutes. The 6705 Limousine Bus departs approximately every 20 minutes. 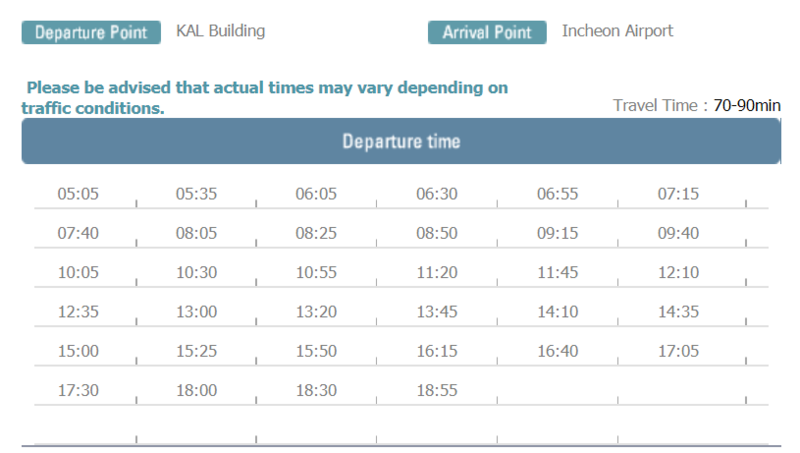 A really easy option to book your Incheon Airport Limousine Bus tickets for the four main routes is to pre-order through Klook, who have a flat rate of $US 12.15 per person for all five routes. 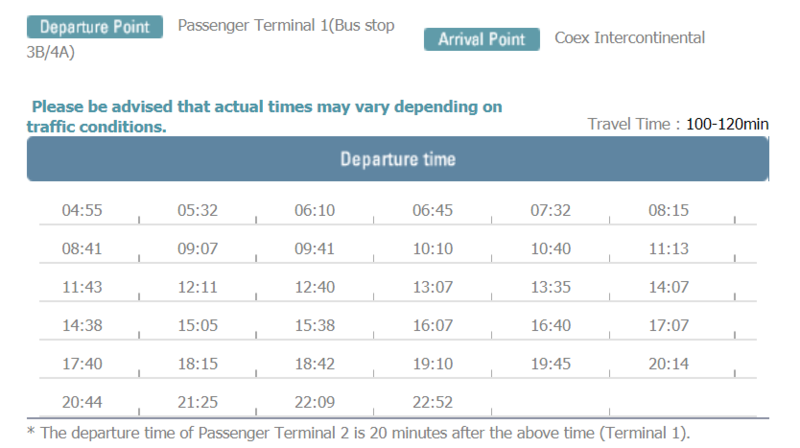 When making your booking you select your specific date, but you do not need to select an arrival time so you should have flexibility in terms of which bus you catch, depending on the number of other passengers wanting to use the same service. Children under 36 months old are free, and you can separately purchase tickets for children aged 6-12 years old for 10,000 Korean Won ($US 9) on the spot. 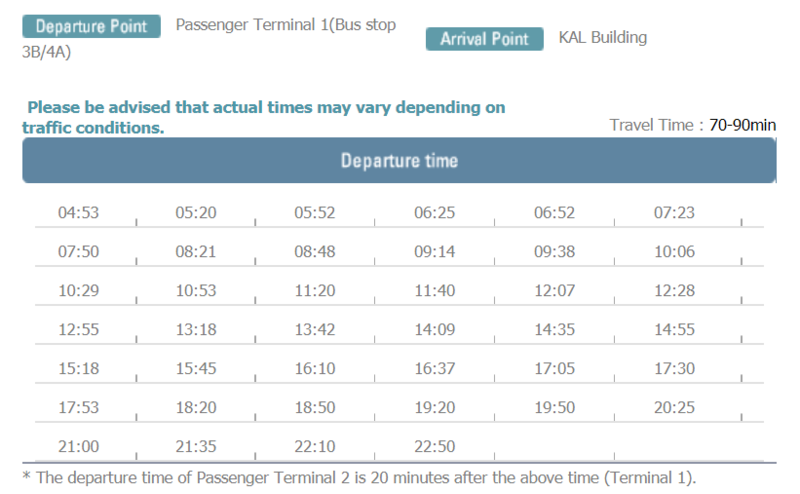 Ensure that you carefully select your arrival or departure terminal from Incheon Airport Terminal 1 or Terminal 2 – note that the two terminals are 15 km apart and travel time between the terminals is 15 minutes, so if you get it wrong you will have a major inconvenience. 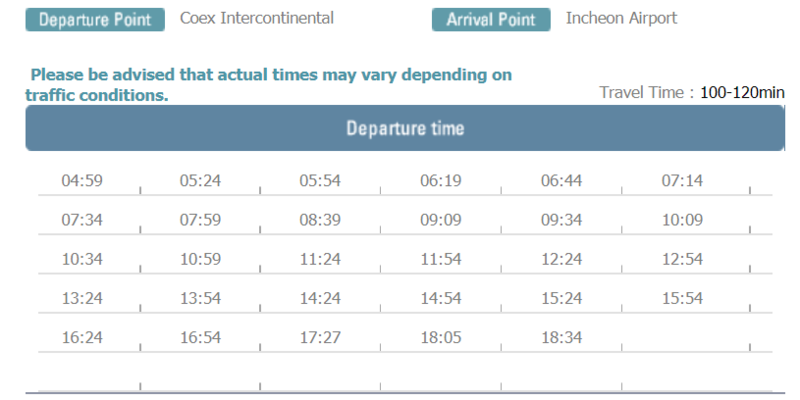 Also check below for the timings to exchange your voucher, if you arrive or depart outside these times you will need to find another airport transport option. 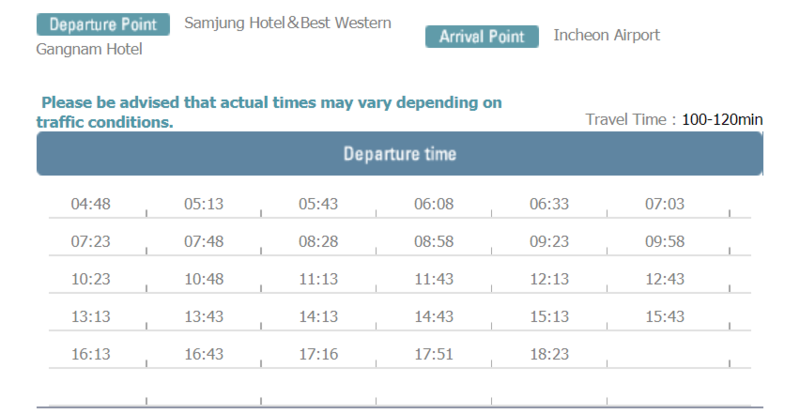 All tickets (from airport to downtown/from downtown to airport) need to be redeemed at Incheon Airport on arrival. Hover over image to pin to Pinterest! Top 18 Phone Apps for your South Korea Trip. Don’t forget to join our South Korea Travel Planning Facebook Group – it is a great resource to enable you to ask questions about your upcoming trip to South Korea! Can You Travel Risk Free? Nice breakdown Anne. Noted for any South Korea trips.